Yet another review of Yowza Fitness product; this is one out of their many unique fitness equipment ranging from treadmills, elliptical machines to anti-gravity gym equipment. 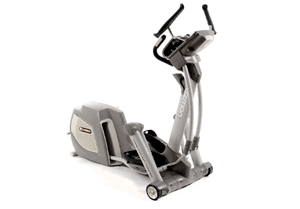 You may want to check out the Yowza Islamorada and Yowza Sanibel i35 elliptical. 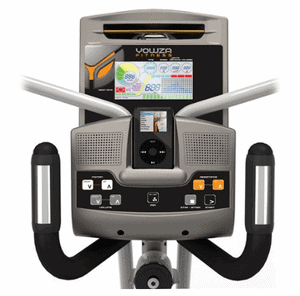 One thing I have noticed and liked about Yowza Fitness is how they keep on improving on the incline level and the stride length of their elliptical equipment, it is so great. The Islamorada has an incline of 60 degrees and about 19 to 30 inches adjustable stride length, isn’t that great? Anyways, let’s see what the Yowza Captiva has got, shall we? But, did you know that Yowza Fitness has won the Best Fitness Buy in 2015 and 2016? Well, they have and the reason seems to be obvious, that is because of their outstanding innovative and unique fitness products. It now appeared that their patented CardioCore Counter-Rotation Motion is available on this unit which is responsible for spot burning fat from the core (that is the tummy). Incline Level– This function is electronically adjustable from 0 to 50% which makes workout challenging in order to get a quick result toward achieving your fitness goal. Stride Length– It has an electronically adjustable variable stride length of 18’’ to 28’’. This allows you to test different step movements of various degrees to know the one that is best and effective for the lower body workouts. SureFit Pedals– The SureFit Pedals ensures that you don’t experience any discomfort with your feet by preventing or reduce jerking or swaying of the feet when working out at high speed or aggressively. iPod Dock– This function allows you to have your iPod on the dock in order to listen to an endless stream of music while working out. Chest/Wrist Strap Heart Rate Monitor Transmitter– Your heart rate can be monitored by the chest/wrist strap transmitter through the built-in heart rate monitor on the console. The sensors on the handlebars can also read your pulse data correctly. Other Features– It basically has all the necessary features that would make workout fun such as water bottle holder; frame is robotically welded steel, transport wheels for easy transportation or movement and weighs about 235 pounds, supports 400 pounds user. It resistance system is electromagnetic braking system with 16 levels of resistance, dimensions are, 66’’ L x 33’’ W x 66’’. There is a lifetime warranty on the frame and braking system, 5 years warranty on parts and electronics and 2 years warranty on labor. You can obviously see the pros through the features; it is like handwriting on the wall. I love that fact that it has about 16 resistance levels to choose from when you want to challenge yourself and get results. It has got the cooling fan to ensure that you aren’t sweating profusely and the iPod dock that will make sure that the music keeps on streaming. How about the exceptional patented CardioCore Counter-Rotation motion system that works on the upper body especially the abdomen rectus, oblique’s and serrates interior. This feature alone has been regarded as a major achievement of Yowza Fitness. Aside from its good looks, it has got the value as well, which is to say value and beauty in one. Some petite users have complained of not being able to use without difficulty; finding balance while workout by rotating and striding could be very challenging. 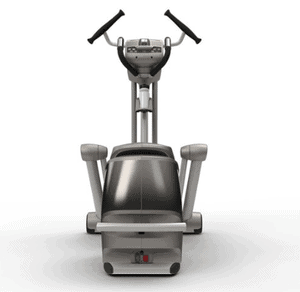 Ordinarily, you will find the CardioCore counter-rotation motion already strange because it is not the usual or conventional way of elliptical trainers let alone if the person to use it is a petite person. Others have also complained about the assembly; it requires at least two persons and hours to assemble. Movement or moving this unit has been complained to be a problem even with its transport wheels, it is not easy to move a 235 pounds weight unit easily, is it? Customer service is a pain in the **s, there are many complaints that they are not helping with complaints as they should. If you have to do the math, as in the pros vs. the cons, it will simply give you thumbs up; no doubt this is a good unit. No matter how you want to look at it, it’s still a fine machine, except if you are having a very serious issue with the underlined cons above concerning transportation and difficulty for a petite person during usage. As for customer service, make sure you purchase your unit from Amazon’s vendor that has a very good rating in terms of customer service. You have the liberty to count your gains and losses concerning this unit and make a decision; however, here is a link to read more of reviews by actual users. Do feel free to post your comment or question in the comment box below. This looks like a beast of an exercise machine! I think you’re right – the pros out way the cons… in terms of assembling the thing being a pain in the **s, any product like this always is. All though I prefer to work outdoors, a unit like this can be taken into account if I decide to purchase one. It looks good, it has everything someone could need for a unit like this. However what did bug me is the weight. From what you wrote it’s pretty heavy, and probably very stationary. From my experience with units of this sort, this is a major drawback, more than the company would probably want you to believe. Doesn’t the weight sounds a bit too much for this sort of thing? Hello, Ido, I know some people might see that weight as a problem but some may not really worry about that. However, it has a transportation wheel but what can it do to a 235 pounds weight unit? Thanks sharing the features, it has rather a lot. It’s good to see that you’re being honest for including the cons to this fitness product. That’s good to hear, and I am glad that this made an impression on you probably because of the honesty in the review and the pros of this unit.